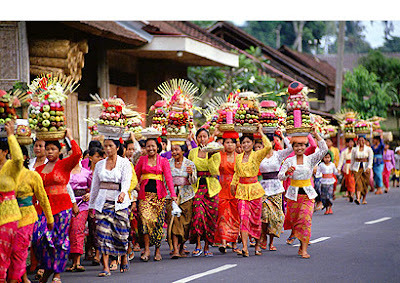 Galungan is a Balinese holiday that occurs every 210 days and lasts for 10 days. 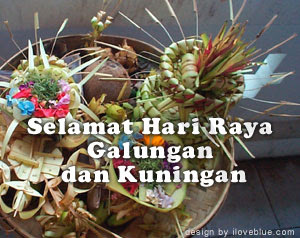 Kuningan is the last day of the holiday. 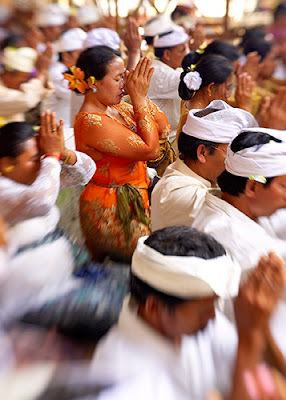 Galungan means "When the Dharma is winning." 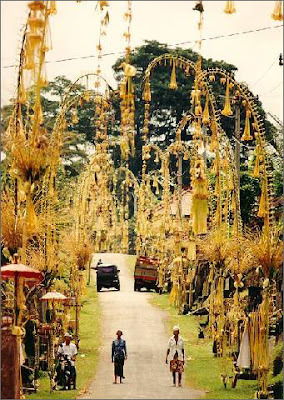 During this holiday the Balinese gods visit the Earth and leave on Kuningan. You can find more of the above information HERE.